Just FYI — Fr. Andrew Damick invited me to contribute an essay to the Orthodoxy and Heterodoxy blog considering the points raised by this piece, and my essay was published this morning. Should you be coming here from Orthodoxy and Heterodoxy, welcome. There’s a decent amount to read in the archives; oral exam prep and fatherhood have slowed my output down somewhat, but I still treat this blog as a going concern, so do please stick around. On New Year’s Day Megan and I finally got to see The Hobbit: An Unexpected Journey. Friends of ours were willing to watch Theodore for a few hours, and even bought tickets, bless them. Seeing it in 3-D 24fps, I rather enjoyed it; the supposed departures from the book didn’t bother me for many of the reasons discussed here. One of the things I really liked about it that this article does not mention is that there weren’t any American actors (save Elijah Wood oh-so-briefly) doing English accents that won’t have aged well 10 years from now. That’s something about the LOTR trilogy that really sticks out for me these days; the simple fact is, some American actors have gotten a lot better at accents since those movies were made, and Elijah Wood and Sean Astin really give it their all, but on repeated viewings some things annoy that I suspect won’t with Martin Freeman’s performance. On that — arguably, Martin Freeman starts out playing his straight man type, John Watson with prosthetic feet, but I assume part of the point will be to see the transformation by the third film (much as, I should add, we see Watson progress in Sherlock). There were already little ways he was incorporating some of Ian Holm’s characteristics; I assume he’ll go further with that as the films progress. Speaking of Ian Holm, I watched Alien a couple of nights ago for the first time in a long time, and Martin Freeman really does look a good bit like Ian Holm in his younger days. They could have done a lot worse in terms of matching actors. I saw that Christopher Tolkien has claimed that Peter Jackson’s films “eviscerated” the books. I respect where the Tolkien family is coming from. I can understand the problem of films overtaking the imaginary impetus of the source material and perhaps setting up false expectations. Something very similar to this has historically been my objection to people like Andrea Bocelli and Sarah Brightman being referred to as “opera singers”. However, something worth pointing out is that Tolkien’s work has in no way been “eviscerated”. Whatever one thinks of the films (and, call me a casual, unserious, uninformed Tolkien reader if you like, but I’ve read them all multiple times, I’m actually surprised at how much Peter Jackson’s films actually do maintain what I see as the spirit, if not the letter, of the books), the books are still right there on the shelves. Not a word of them has been changed (except those that Tolkien himself changed through the various edits and revisions). You can buy Tolkien’s books and read his words for yourself, and many, many people continue to do so, so I find it somewhat disingenuous to claim that the Tolkien heirs don’t benefit at all from this. Two books I read a long time ago that very much changed how I saw cinematic adaptations of stories from other media are Syd Field’s Screenplay and J. Michael Straczynski’s The Complete Book of Screenwriting. There are reasons things get changed for films, and even factoring out issues of the economics of film, they have to do with the needs of the medium. Even something as simple as having to decide on a consistent way a character looks or how their name is pronounced has to be decided upon, which itself means you’re going with one interpretation over another. Don’t think this is a big deal? Google “Balrog wings controversy” sometime. I also have friends who insist that the names “Smaug” and “Gollum” are actually pronounced “Smog” and “Gah-LUM”. These are things that an individual reader can decide for themselves when reading it in their own head, but you can’t do that with film. And, like it or not, film presents an opportunity to “correct” the source material. For every person who thinks it’s ridiculous that Arwen’s story got expanded in the LOTR films, there’s somebody who thinks the filmmakers caved to chauvinistic purists by not going ahead with having Arwen go all-out warrior princess and fighting at Helm’s Deep. (According to the commentaries on the DVD, this was all shot, but it apparently didn’t work when they looked at what they had. Did Liv Tyler just not have the chops for it? I don’t know.) Maybe you can argue that such changes are precisely what take away from the spirit of the source material, but also consider that variations are part of what make myth myth. To the extent that Tolkien was “subcreating” myth, then it becomes problematic to apply some kind of “sola scriptura” rubric to the story. Myths get retold, and they get retold in ways that suit new audiences. 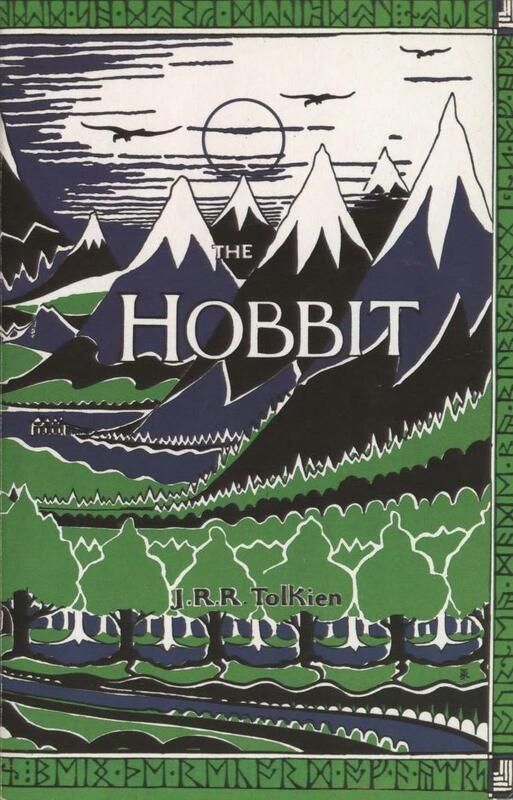 Even within the universe of The Lord of the Rings — the book that we call The Hobbit is different in a crucial way from what Tolkien originally published, and it’s because he realized he needed the story to do something else when he revisited it years later. All of this is to say — I don’t doubt that Christopher Tolkien, perhaps the closest person on earth to the textual sources of Middle Earth still living, feels every and any change from the text like a stab to the gut. I do suggest, however, that that very intimacy with his father’s words make it very difficult for him to properly see the big picture.